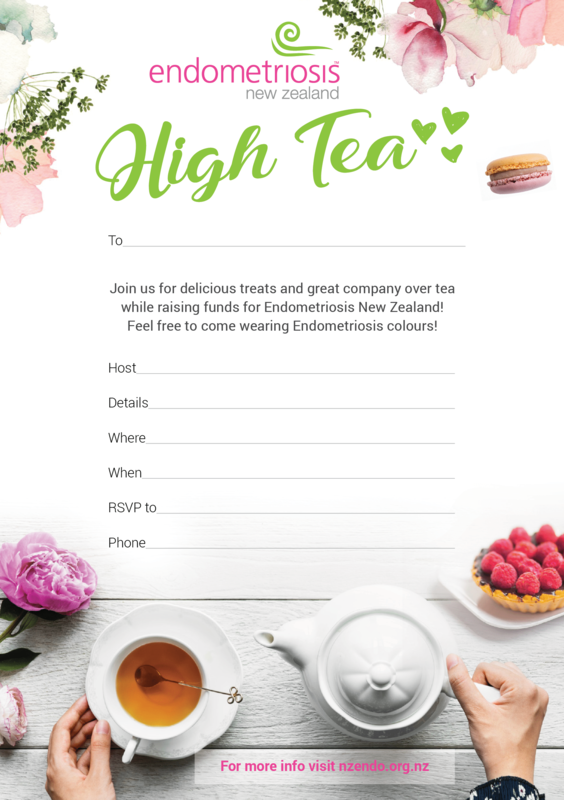 Join others across New Zealand by catching up with whānau, friends, and colleagues celebrating and raising money for Endometriosis New Zealand (ENZ). Support the work ENZ does every day by hosting your very own High Tea. 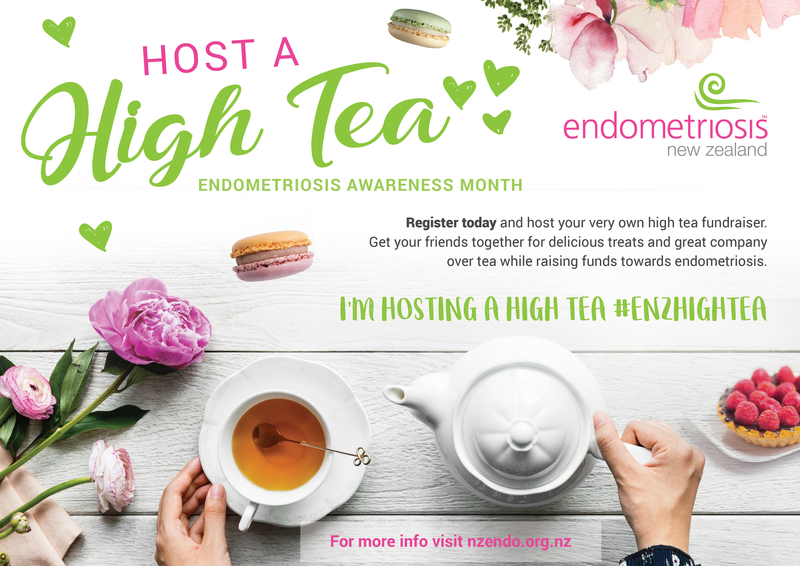 Money raised will help educate youth across New Zealand through the ENZ secondary schools me™ (menstrual health and endometriosis) programme. How: Invite friends over to enjoy some yummy treats, tea, coffee…etc. There could be a special theme like; Wear a fancy hat or pink and green – ENZ colours… be creative. Ask friends to bring a koha (donation) for ENZ. You can use this everydayhero page to donate the money you raised for your High Tea. Suggested donations per person could be anywhere from $5-$50 per person… have fun. Tag us in or send us photos of your ENZ High Tea fundraiser by 5 pm on Monday the 11th of March, 2019 to be in the draw to win a beautiful Linden Leaves gift. The more people that know about Endometriosis New Zealand , the greater the impact, so please also spread the word by sharing our page with your friends and family. Please help us by giving whatever you can using the ‘Give Now’ button. Thank you in advance for your generosity, it means a lot!